, a new franchise offering by Moran Family of Brands, occupies a strategic position in the window film industry. For a minimal investment, Smart View provides entrepreneurs with the opportunity to start a home based/mobile-based business that offers a superior model in a rapidly growing market segment. Smart View Window Solutions specializes in residential and commercial window tinting. 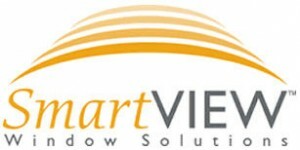 Smart View Window Solutions products meet the demand for energy efficiency, heat rejection and UV rejection to help home and business owners lower costs and protect their valuables.